A Jefferson Hour listener wrote me a snarky letter last week after Attorney General William Barr released a four-page summary of the Mueller Report, apparently clearing President Trump and his closest aides of colluding with the Russians in the 2016 election. After informing me that I have been embarrassing myself with what he called my anti-Trump rhetoric, the writer asked me if I were going to apologize for presuming that President Trump was guilty of crimes that would force us into a whopping impeachment ordeal. So here goes. I confess that I did in fact think that more indictments were coming, perhaps even within the Trump family. I did think that Special Prosecutor Mueller would conclude that the Trump organization conspired with the Russians to influence the election. I was plainly wrong. I’m surprised by the findings as outlined in Barr’s summary, but I’m actually glad I was wrong. For the past year, I have been living in real dread — wake up in the middle of the night dread — that we were descending into a prolonged and crippling constitutional crisis that would paralyze America without ever resolving anything. I knew that if Mueller concluded that the Trump administration was guilty, Trump partisans would reject the prosecutor’s findings and declare — without evidence — that this was proof positive that the deep state was trying to remove a legitimately elected president by coup d’état. 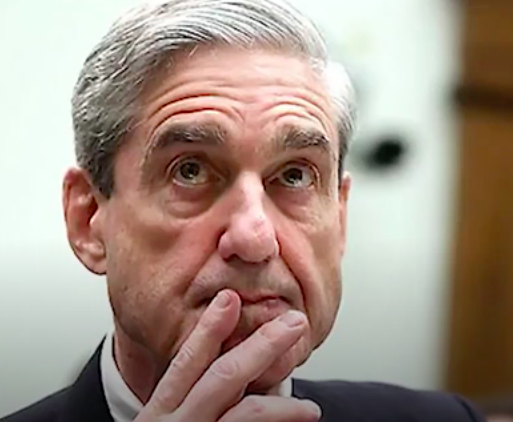 Personally, I believe Mueller stopped short even on the question of obstruction because he cares about America and its central national institutions more than he cares about the shenanigans of this particular president. I believe he took the long view and crafted his report with profound strategic precision — to buttress due process, the rule of law, and the sanctity of the FBI, the Justice Department and the courts. We haven’t seen the Mueller report yet. I expect that it will simultaneously confirm everyone’s worst fears and yet in a technical-legal sense exonerate the president. It will simultaneously please and displease everyone. Trump’s defenders will celebrate its decision not to indict, but they will be outraged (that’s their favorite posture) that so many unsavory details of the president’s behavior will be exhibited for all the world to see and decry. Watch: they will demand that the FBI’s internal report on Hillary Clinton now be released to the public, too. Meanwhile, those who would like to see the president impeached will find plenty of evidence to confirm their view that he is palpably unfit for office, but they will be deeply disappointed that Mueller did not thrust in the legal stiletto. Everyone will declare victory. Everyone will feel some defeat. And after all that we will bumble along in the usual deeply divided and angry manner of the last dozen years. I confess that I’ve been saddened over the past two years by the virulence of the anti-Trump passion on the left. When the anchors on MSNBC have bad news to report about President Trump and his associates, their glee is palpable. They basically crow. You can see the triumphalism in their faces and feel the lust of their contempt and their righteousness. But I am even more sickened by the pro-Trump slathering of the right. The sneering of the Fox hosts, their constant wallowing in the culture of outrage, their continuing attacks on Hillary Clinton when she has now long since left the public stage, their abject flattery of the president and their refusal to condemn or even question Trump’s most vulgar and unpresidential antics, is truly frightening. Still, I say a pox on both their houses. It seems to me that we really are now two countries. About 35 percent of America is scathingly anti-Obama, anti-Hillary, anti-Pelosi, anti-political correctness, anti-liberal. It’s not clear what percentage of that population admires Donald Trump with the kind of Fifth Avenue fervor he prefers, but the fact that he is not Hillary and not Obama seems to be enough. About 50 percent of the country is passionately anti-Trump. They would love to see him escorted from office in shackles. These two Americas do not like or trust each other. They do not debate fiercely by day and then drink scotch together after hours. Even worse, these two American tribes, the Reds and the Blues, literally do not understand each other. Each side believes it has a monopoly on virtue — and truth — and each camp believes the other is openly betraying the ideals of America. The liberal progressives believe they ARE America and the conservatives are a bunch of superannuated extras who somehow crept out of a time capsule of “Ozzie and Harriet” and “Leave it to Beaver” reruns. The conservatives believe THEY are America — their anthem was written by Lee Greenwood — and that the liberals are nothing but crypto-socialists who want to give the wealth of America to a bunch of brown people who want to shame us for what our great-great-grandparents may or may not have done in the conquest of the continent. These tribes do not, as Jefferson put it, disagree as rational friends who all want what’s best for America. They hate and loathe each other and accuse each other of treason. The gulf is wide and widening. And I do in fact believe we will see armed outbursts in what the great Watergate journalist Carl Bernstein has been calling a cold civil war. In other words, with or without special prosecutors, we are in a serious constitutional crisis. I don’t know whether President Trump will finish out his term, but I reckon he will. As I have said previously, since World War II, we have essentially evolved into a quasi-monarchy, and whether we like to admit it or not, our presidents now really are above the law. I don’t know what you would have to do to be impeached in this our happy republic, but the experiences of Ronald Reagan and George Herbert Walker Bush in the Iran-Contra Affair, Bill Clinton in the bedroom and G. W. Bush in fudging the weak evidence of weapons of mass destruction to engage in a $4 trillion preventative war in Iraq suggest that nothing can ever trip the impeachment and conviction wire in a nation whose people (I won’t say citizens) pay little attention to the sanctity of its Constitution and who practice such severe and unthinking partisanship that at least one third of whichever party happens to be in power would always vote to protect its president, no matter how severely he violated the separation of powers doctrine, due process, the emoluments clause, or the war powers act. Here’s the sad and dangerous paradox. If nothing constitutes an impeachable offense, future presidents, knowing that, will feel free to break the law and violate the Constitution in all sorts of ways because they be rightly confident that they will not be held to account. Where there is no likelihood of punishment, there can be no restraint on misuse of power. As someone who has recently delivered a lecture on Julius Caesar and studied classical history in college and graduate school, I can affirm that this was the downward spiraling path of the Roman Empire. So, I don’t quite know what to say to my snarky friend who asked me to apologize for misunderstanding Donald Trump’s innocence. Throughout my career, I have been more comfortable speaking through the personalities of the men I have portrayed than trying to sort out my own views of things. When people ask, I say, “Hey, I ‘know’ what Jefferson thought (or Robert Oppenheimer, or Theodore Roosevelt), but I’m not really sure what I think.” They laugh but I am completely serious. I know Thomas Jefferson about as well as I know anything. It is impossible for me to believe that the most elegant, modest, power-averse, egoless and civil president in American history could find anything to admire in Donald Trump. If you disagree, raise your hand. Jefferson would not support President Trump’s admiration for such autocrats as Kim Jong Un and Vladimir Putin. Jefferson’s contempt for even the milder tyrants George III and Napoleon Bonaparte was severe. Jefferson would not support President Trump’s ad hominem attacks on his rivals, fellow heads of state, Gold Star Families, hurricane victims, residents of what he has called S-hole countries in Africa and women whose looks he chooses not to admire. And though Jefferson sometimes complained about the press, he would certainly not approve of President Trump’s repeated denunciations of the mainstream press, some of whom he has called the enemies of the people. In fact, I have no difficulty concluding that Donald Trump is the least Jeffersonian president in my lifetime, which spans every president since Dwight Eisenhower. The most Jeffersonian presidents of my time have been John F. Kennedy, Jimmy Carter and to a certain degree Ronald Reagan. Donald Trump is at the far other end of the spectrum. Jefferson didn’t like Patrick Henry, who was a junior league demagogue, or Andrew Jackson, who found his way to the majors. Jefferson believed the president must carry himself with dignity, responsibility, modesty, respectfulness, and endless decorum. So that is my answer to my email antagonist. You can call me one of the deplorables, but I am absolutely certain you cannot make the case that the third president would find anything to admire in the 45th. Our Constitution is robust, and we are a strong, resilient, and robust people. We will assuredly get through this. I look forward to reading the Mueller Report.